Ergonomic holders on both sides of the bucket ensure that the tongs are always within your reach. A built-in reservoir stores away all meltwater. It might be a bit difficult to wash (the inner part is not removable). Owing to a removable tray, it is easy to serve the ice cubes and the sliced citrus to accompany your favourite drinks! Also, the garnish will remain cool and fresh for a long while! 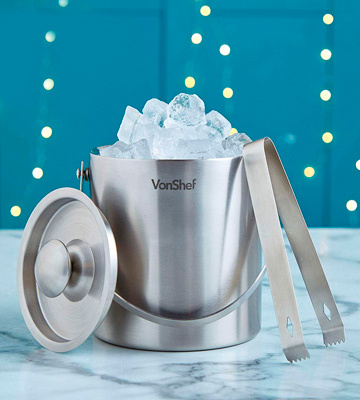 Made of high-quality stainless steel, the VonShef ice bucket will serve you for years. 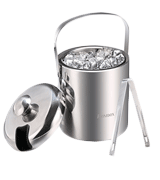 Its stylish satin finish gives the ice bucket a stylish modern look. 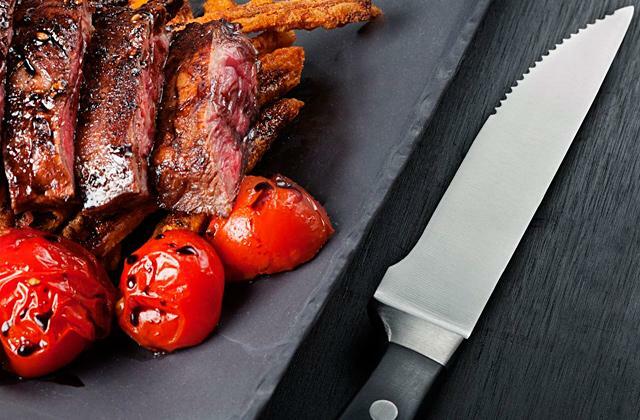 You can't close the lid completely with the tongs inside the ice bucket. 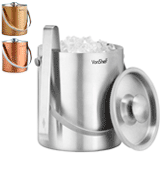 The VonShef ice bucket is a decent choice for your home mini bar. This luxurious item will become a functional decoration during any party. The bucket is also available in a warm copper colour. Enjoy exquisite drinks chilled in this classy Champagne wine ice bucket! It can also be considered as a gift idea to give to your friends or relatives. In spite of its size, this ice bucket is rather light. In a cafe, restaurant, or at your family gatherings, this vintage wine ice bucket will help create an unforgettable festive atmosphere and keep your favourite drinks chilled. If you're looking for capacious kitchenware to chill bottled beverages for parties or any other special occasion, this stylish transparent plastic ice bucket can become a perfect choice. Takes pretty much space on a counter. The beauty about this bucket is that it can accommodate a great number of drinks for big companies and parties. Proved to be effective even on hot summer days. 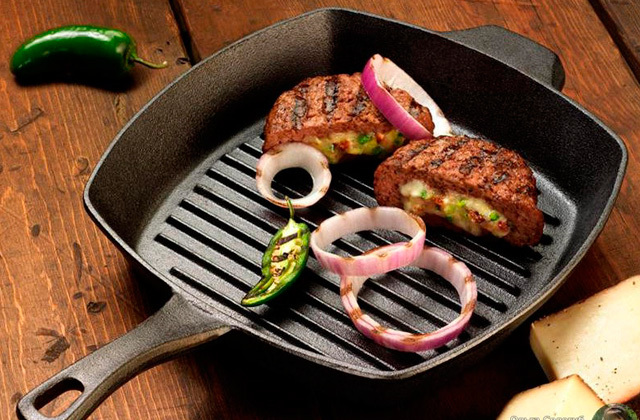 Thanks to a special opening in the lid, tongs will always be at hand and ready for use. This stylish ice bucket is a wonderful choice for your home mini bar. Its capacity is pretty small. 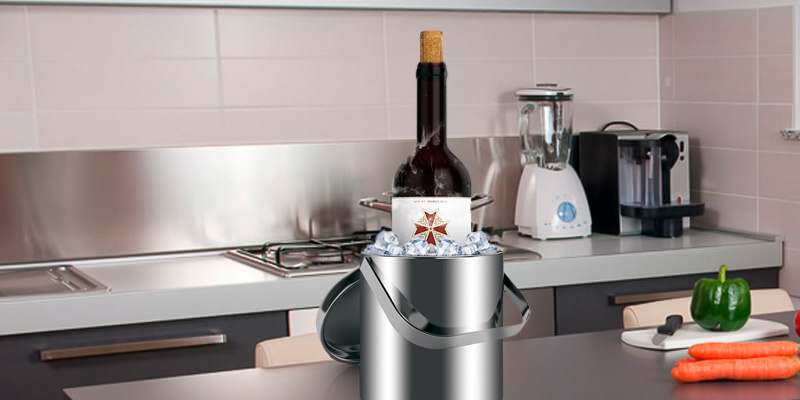 As convenient as it is, the Sailnovo ice bucket will keep ice from melting for quite a long time. Plus, this stylish accessory takes minimum space when in storage. Whether you're planning an outdoor cookout or a family gathering, chilling your drinks with this OXO ice bucket can be a good idea. By choosing this stainless bucket, you get a reliable product featuring four-quart capacity, double-wall insulation and special grooves inside to channel away melted water. 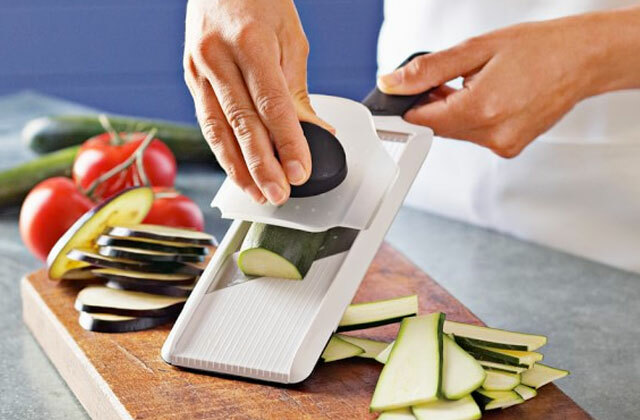 Plus, it comes with an ergonomic garnish tray and includes a pair of tongs that can be stored on special hangers on both sides of the carrying handle. 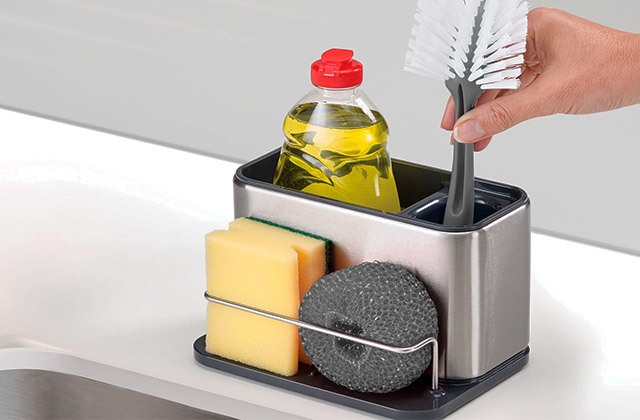 Not only does it allow you to remove ice cubes with greater convenience but also it makes the unit more space-saving, allowing you to store it neatly on your countertop. Another highlight of this ice bucket is a transparent lid that enables you to see inside the bucket without opening it. This is not only convenient but also prevents the heat from getting inside. 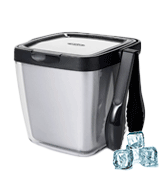 What we also like in the OXO ice bucket is a soft-grip handle. It makes for mobility of the bucket and doesn't get cold, letting you comfortably serve drinks. 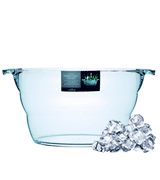 We should also mention that the OXO ice bucket looks really good. With a sleek stainless steel design, it will add a touch of style and festive mood to any gathering and event. 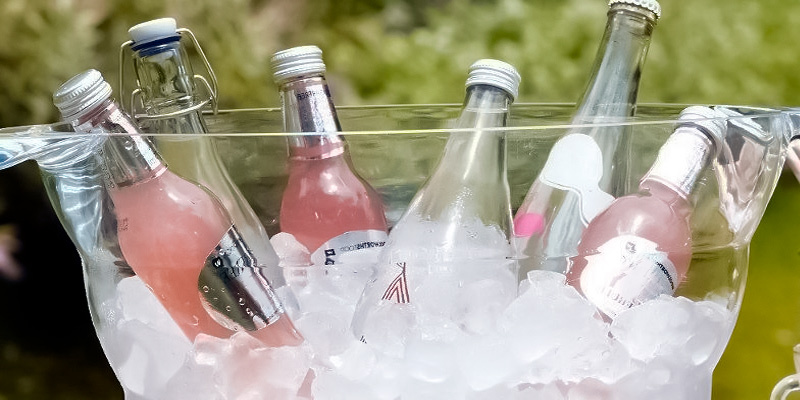 If you are throwing a cocktail party, don't forget to stock up on ice! 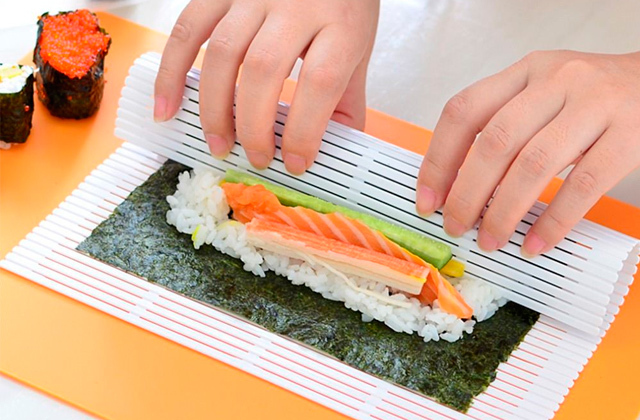 We'll give you some tips on its proper making and serving. Before you put the mould filled with water into the freezer, make sure there is no other foodstuff, because the ice might absorb its odour. 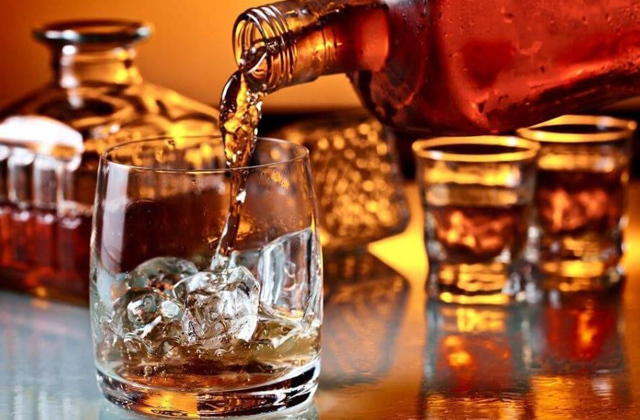 We bet you do not want any foreign smell in your party drinks! In addition, it is advisable to use freshly-frozen ice. For better results, you can use purified or distilled water. What is the secret behind making clear ice cubes at home? Dense ice with minimum air bulbs looks terrific and melts slower, efficiently cooling your drink. There is a way to make it, which takes a while, but is definitely worth trying. Boil some water, cool it and then boil again, then pour it into the ice tray in a thin stream. One more tip: the larger mould you use, the longer ice cubes last. And keep them in a high-quality ice bucket! All in all, the crushed ice quality is as important as that of any other cocktail ingredient. A drink is refreshing only if it’s been chilled. You can pre-freeze ice cubes, you can have your bottles stored in the freezer, but when it’s roasting hot outside, there’s no better way to serve up your drinks or the ice cubes to chill them than in a beautiful ice bucket. Looking stylish and appealing, the VonShef ice bucket can become your best choice. Not only will it add that special touch to your event; it will also keep the ice unmelted. The unit boasts double-wall insulation that prevents quick heating of your drinks (offering 2 L capacity, it is perfect for storing up to 2 bottles of wine). If you use the item for serving ice cubes, the included lid will also help to prevent them from thawing. 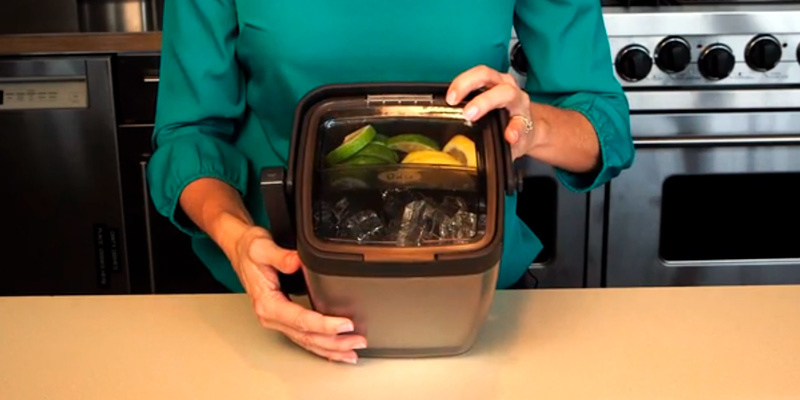 The bucket comes prepacked with the tongs, allowing users to comfortably handle ice cubes. 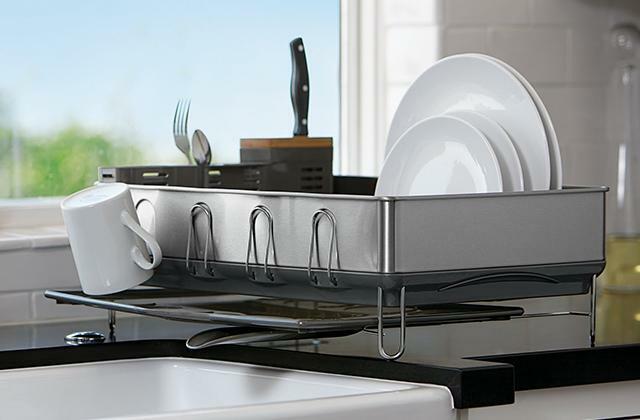 A stylish elongated handle will allow you to carry the unit around. All in all, the bucket isn’t something special, something you’d not expect from the unit of the kind, but it‘s definitely great for what it is. It’s got just all the needed features to make your parties much more enjoyable. 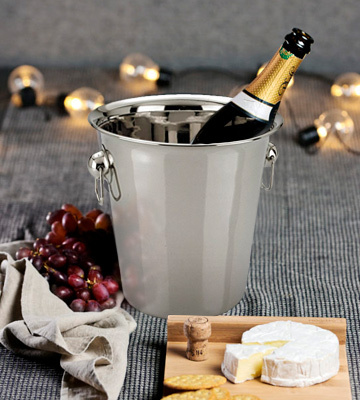 The Roma Champagne Wine Ice Bucket is a great accessory that you can use at home, in a cafe or restaurant to serve up chilled champagne, martini, white wine or even your favourite soda drink. Combining simplicity, classic design, and robustness, it looks smart and appealing thanks to a few tiny accents such as a glossy inside surface and cute handles on both sides of the item. Though these handles might be not as convenient for carrying the bucket, what we like them for is that they are very elegant in appearance, making for the whole bucket design. The stainless steel exterior of the bucket isn’t prone to corrosion or rust and will likely serve you for many years, allowing you and your family to enjoy your favorite drinks chilled whenever you like. As we've said, the Roma Champagne Wine Ice Bucket will be perfect for use not only at home but also in bars and restaurants. It offers a fairly large capacity of 4 liters which allows it to fit up to 2-3 bottles of your favorite drinks. So, if you adore chilled drinks, having such a bucket at hand will be a good idea. And if you want to make your life even better, we suggest you also buy an ice maker that will save you the need to freeze ice in the fridge. If you like to throw parties, buying an ice bucket to chill drinks for your guests and friends will be a good idea. And you won't find a better ice bucket for that than this model from KitchenCraft, offering 10L capacity, which is more than any other bucket on our list offers. This bucket is really large and can chill several bottled party drinks at a time so that you and your friends have enough ice to put in your drinks. 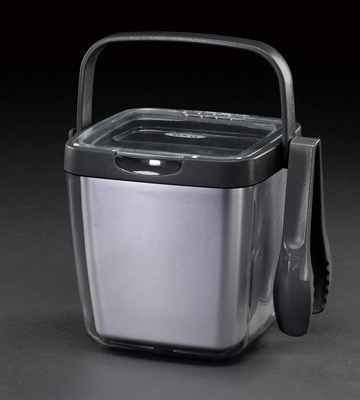 In addition to offering 10 liter capacity, this ice bucket stands out by its beautiful design. Made of glass, it has a curved shape and reminds a lump of ice, especially when you put ice in it. This allows it to serve not only for practical purposes but also act as a decorative thing adorning your parties and special events. The biggest attraction of this bucket is that it doesn't trail behind stainless models in terms of durability. Made of acrylic, its bowl is strong and, unless you try to break it intentionally, won't crack easily. Plus, it requires very little maintenance. 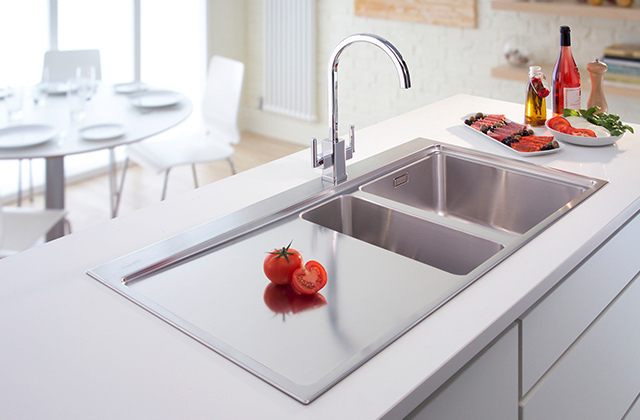 Though you can't put it in a dishwasher, cleaning it under tap water won't take you more than a couple minutes. Another convenience of the bowl is that it features two carrying handles, so even when full, carrying the bucket won't be difficult. Wrapping things up, if you need an ice bucket for parties and special occasions involving many relatives and friends, this KitchenCraft BarCraft Acrylic Drinks Bucket, which offers 10 L capacity, will fit the bill. Are you looking for a compact ice bucket with a sleek design that will add elegance to your romantic evenings and special occasions? Then, consider this Sailnovo model. Not only is it beautiful, but also it is thought out to detail. The bucket features double walls and an ergonomic lid, keeping your ice from melting so that ice cubes don't lose their marketed look and stay fresh and tempting in your glass of whiskey or juice for longer. Also, there's a special opening in the lid where you can hang the tongs that come included in the purchase, which is a nice option compared to having to store them separately and then being in search come the time. Alternatively, you can use this bucket for chilling bottled drinks. With 1.2 L capacity, it will hold one full-sized bottle, making it a perfect option for 1-2 people households. 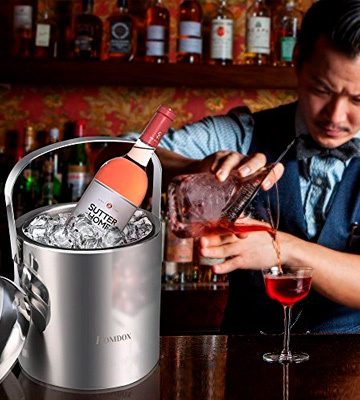 Compact, sleek, and with double insulation, this ice bucket will be a suitable option when you need to serve only one bottle of drink. 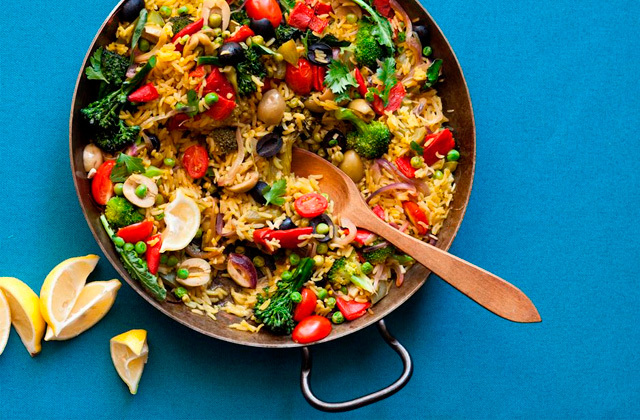 Perfect for family parties or small servings in cafes. What Is an Ice Bucket? An ice bucket is a stylish eye-catching accessory of any festive table. It makes drinks cool and refreshing on a hot summer night and creates an amazing atmosphere of the feast. In the past, ice buckets were used for chilling bottles of Champagne. Today, ice buckets are used for cooling juice, whisky, wine and other beverages. White and sparkling wines can be served in an ice bucket to get (and to keep) the temperature that reveals their best taste and flavour. Ice tubs and buckets are crucial for any cocktail party! You can fill an ice bucket with crushed ice and serve it with juice or cocktails to enjoy all kinds of refreshing drinks. We have selected five best ice buckets for you to choose the one to chill out on hot summer days. We also recommend you to look through our shaved ice machines that make ice chips. They can produce crushed ice for an invigorating mojito, icy daiquiri, Margarita, and other cocktails and soft drinks. 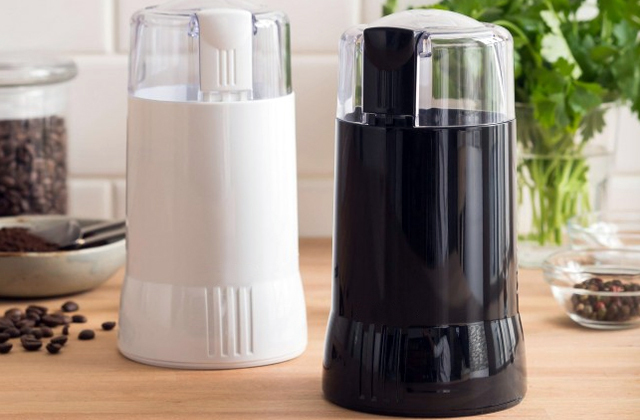 You may also be interested in ice makers that will let you always have enough ice cubes at hand. When selecting an ice bucket, one of the first things you need to consider is how you're going to use it and how big you want it to be. 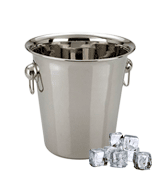 Ice buckets may offer various capacity starting from 30 oz to 130 oz and more. Should you be looking for an ice bucket for special events we would recommend you to opt for a bigger thing, a bucket that can hold several bottles or cans for a group of people. And if it's only two of you, buying a smaller bucket will be more than reasonable. Another thing to consider is the bucket design. 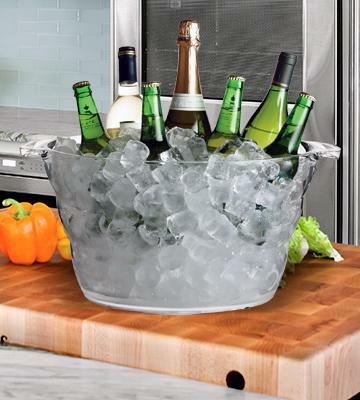 Created especially for festive occasions, ice buckets come in various designs. You can choose either smaller models that can be placed on a table or bigger ones that come with stands. Ice buckets can be made from different materials too, but if you seek durability it makes sense to go with stainless steel. Ice buckets are not just buckets and often come with ergonomic lids for convenient opening/closing. 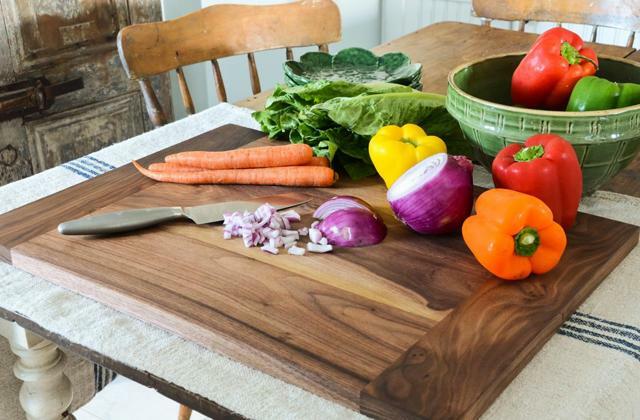 Many of them look truly amazing and can become a centrepiece of any dinner set. The market offers so many choices you should be able to easily find the best thing. Of course, you don't expect a bucket to have many extras, but it's little things that matter. So before you choose any model, think again why you need an ice bucket in the first place. 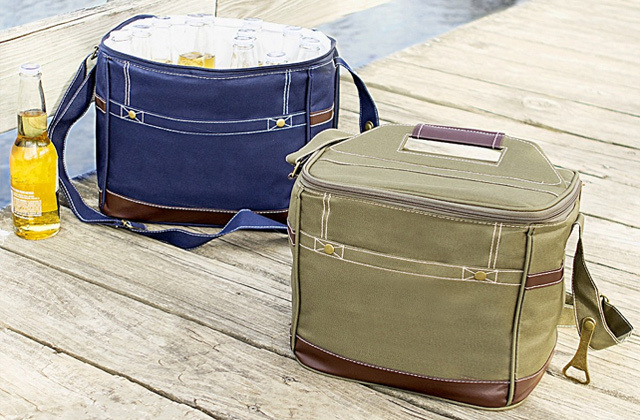 If you're looking for a small bucket to chill drinks only for two of you, it's the size that matters: you need a bucket that will be compact and easy to carry. And if you're buying an ice bucket for special occasions we'd recommend you to look into its ergonomics. Bigger models can get rather heavy when filled with ice so it's important that they have handles or a stand to move them conveniently. 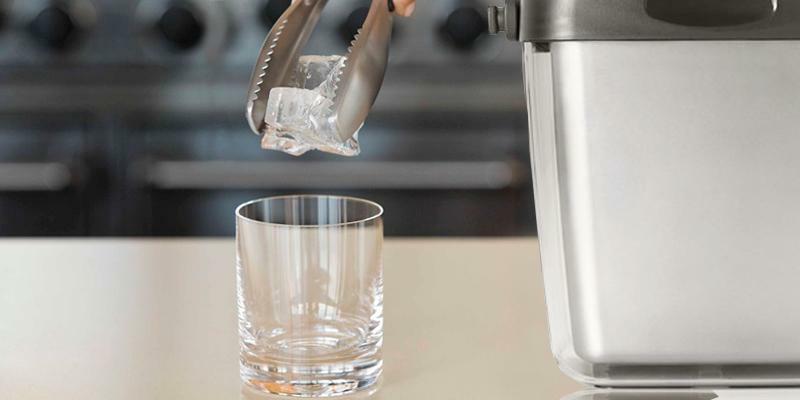 In addition to carrying handles, some of the models come with additional accessories such as an ice scoop and tongs, both meant to simplify removal of ice cubes. Double wall insulation is also a great advantage if you want to keep ice cubes longer. 1. Your Guide to Buying an Ice Bucket, eBay. January 14, 2016. 2. 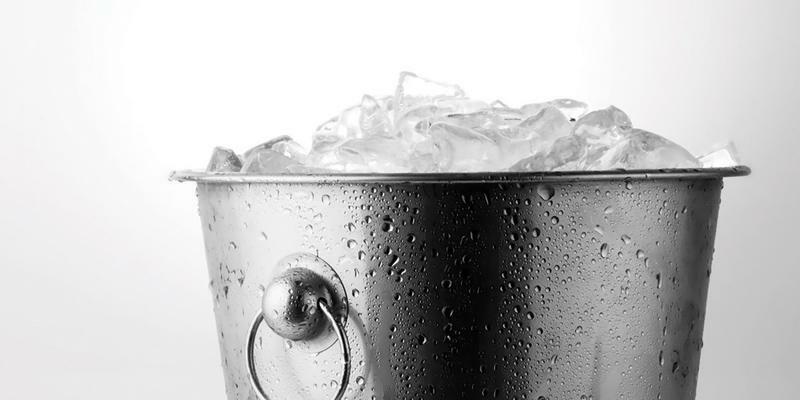 What Should I Consider When Buying an Ice Bucket? wiseGEEK. 4. How to Serve Champagne, HowStuffWorks. 5. Matthew DeBord You've been drinking red wine too warm for your entire life, Business Insider. September 1, 2015.